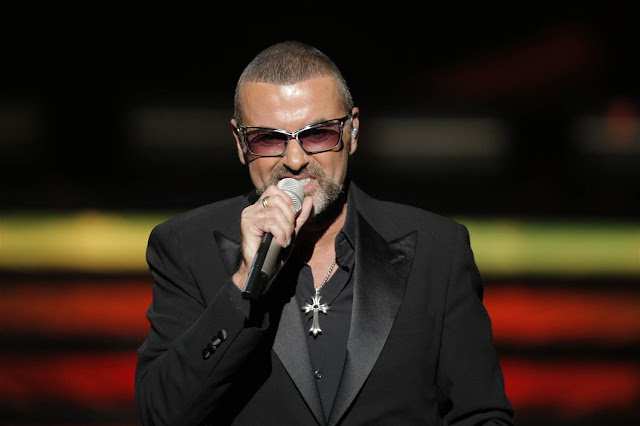 Singer George Michael has died. He was 53. Thames Valley Police said South Central Ambulance Service attended a property in Goring in Oxfordshire at 13:42 GMT and authorities say there were no suspicious circumstances surrounding his death, according to the BBC. In 1987, he released his debut solo album, Faith, which sold over 25 million copies and catapulted him into success. His second album, Listen Without Prejudice, Vol. 1, — which featured the song “Freedom ’90” — celebrated its 25th anniversary in September 2015. The hitmaker announced that he was gay in 1998, two years after entering into a relationship with Kenny Goss. Their romance ended 13-years later when Michael revealed at his August 2011 Prague State Opera concert that he had broken up with his longtime partner. Three months later in November 2011, Michael was taken to hospital for treatment for pneumonia. Just the year before, he suffered a major car crash in which he was arrested for driving under the influence of marijuana. During his almost four-decades of fame, the singer sold 100 million albums worldwide and garnered three American Music Awards, three Brit Awards and two Grammy Awards out of eight total nominations. He was "the kindest, most generous soul and a brilliant artist," Elton John wrote on Instagram, leading tributes to George Michael who died aged 53 on Christmas Day. "It is with great sadness that we can confirm our beloved son, brother and friend George passed away peacefully at home over the Christmas period," said a statement from Michael's family. In a career spanning four decades, Michael sold over 100 million albums and had 11 UK number ones with songs such as Careless Whisper, Faith, Outside and Freedom! 90.
n the duo Wham! alongside friend Andrew Ridgeley, he built a solo career which catapulted him to further stardom, awards and riches. Ridgeley, the other half of Wham!, was one of the first to react to the news, tweeting that he was "heartbroken". The two-time Grammy Award recipient "became one of the most beloved pop craftsmen and respected entertainers," said Neil Portnow, president/CEO of The Recording Academy, which awards the Grammys. The singer was only 53 but his death was being classified as "unexplained but not suspicious." He died at his home in Oxfordshire, in southeast England, according to statements from his publicist and police. "It is with great sadness that we can confirm our beloved son, brother and friend George passed away peacefully at home over the Christmas period," read a statement from Michael's publicist. Michael's former bandmate in the duo Wham!, Andrew Ridgeley, said on Twitter he was "heartbroken at the loss of my beloved friend." He added, "Me, his loved ones, his friends, the world of music, the world at large. 4ever loved." 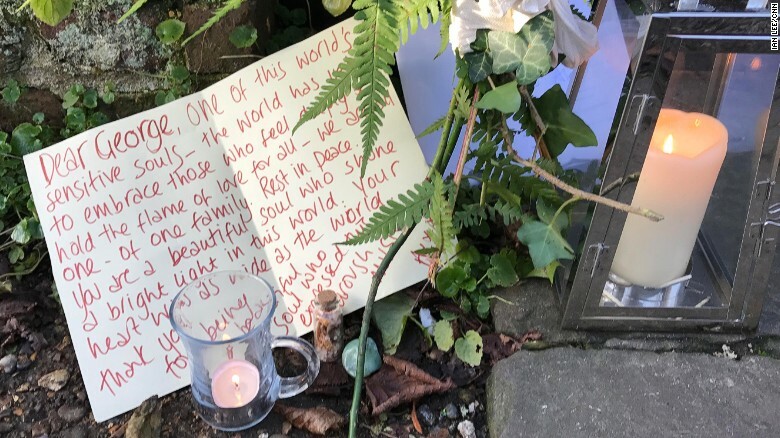 An immediate cause wasn't given for the star's death, but local police also released a statement, saying: "Thames Valley Police were called to a property in Goring on Thames shortly before 2 p.m.( 9 a.m. ET) Sadly, a 53-year-old man was confirmed deceased at the scene." "At this stage the death is being treated as unexplained but not suspicious," the statement continued. "A post mortem will be undertaken in due course. There will be no further updates from Thames Valley Police until the post mortem has taken place." "I have lost a beloved friend — the kindest, most generous soul and a brilliant artist," singer Elton John wrote on Instagram. Madonna was another of the hundreds of musical giants and regular fans who voiced grief online, saying in a tweet, "Farewell My Friend! Another Great Artist leaves us. Can 2016 F--k Off NOW." In the fall of 2011, Michael was described as 'near-death' after a particularly grave bout of pneumonia. "They spent three weeks keeping me alive basically," he told reporters in December of that year, after arriving home from a hospital in Vienna, Austria. "I don't want to take you through all of it because some of it I want to protect my family from and I'm sure I'll get it all written down, but it was basically by far the worst month of my life." Michael's career began with the duo Wham! in the 1980s, churning out hits like "Wake Me Up Before You Go-Go," and "Last Christmas" and continued into the 90s after he launched his debut chart-topping solo album "Faith" in 1987. Michael was originally born Georgios Kyriacos Panayiotou, on June 25, 1963, in London, to a Greek immigrant father and a British mother. An 80s and 90s heartthrob, questions about Michael's sexuality swirled until he was arrested in 1998 for "engaging in a lewd" act in a public park restroom in Beverly Hills, California. In 2007, Michael told the Independent newspaper that hiding his sexuality made him feel like a fraud and that his arrest was subconsciously deliberate. 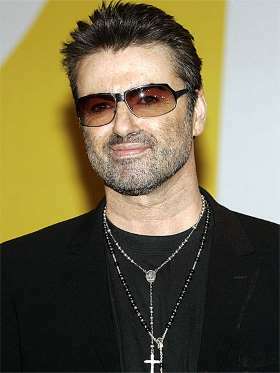 The Recording Academy also released a statement on Michael, a two-time Grammy winner, saying in part: "During an influential career that spanned nearly four decades, George became one of the most beloved pop craftsmen and respected entertainers ... We have lost a cherished artist and our sincerest condolences go out to George's family, friends, and musical collaborators. He will be missed." 0 Response to "Singer-songwriter George Michael dies at 53"